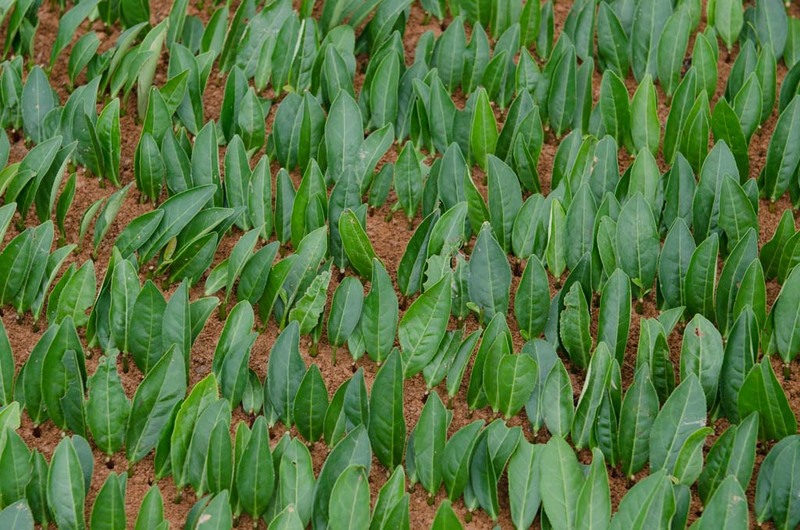 Wuyi tea farmers generally plant known cultivars - 105, Rou Gui, Qi Lan, etc, which means that they are all clones of a particular plant that is known for it's particular combination of characteristics. Where do all the thousands of clones come from? How are they made? 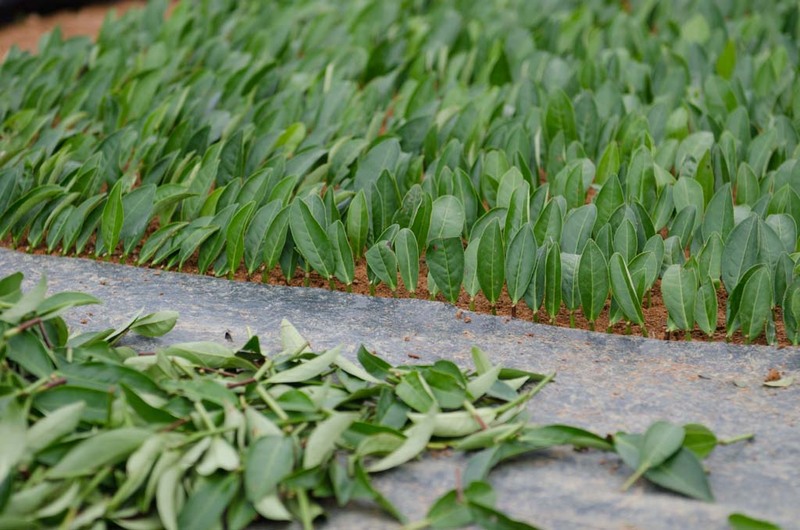 First suitable cuttings are taken from mother plants and prepared. 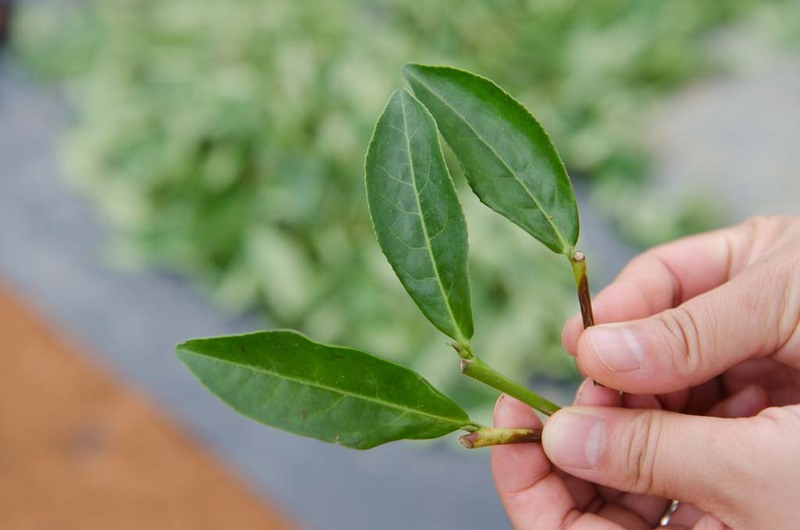 The stem above the leaf is removed and a small amount of stem is left below the healthy leaf. You can see how the edges of the cuts start to oxidize. Three cuttings ready for rooting. The cuttings are taken in baskets to a planting bed that has been prepared. The soil is loose and level. Shade cloth and hoop to support it are at the ready. 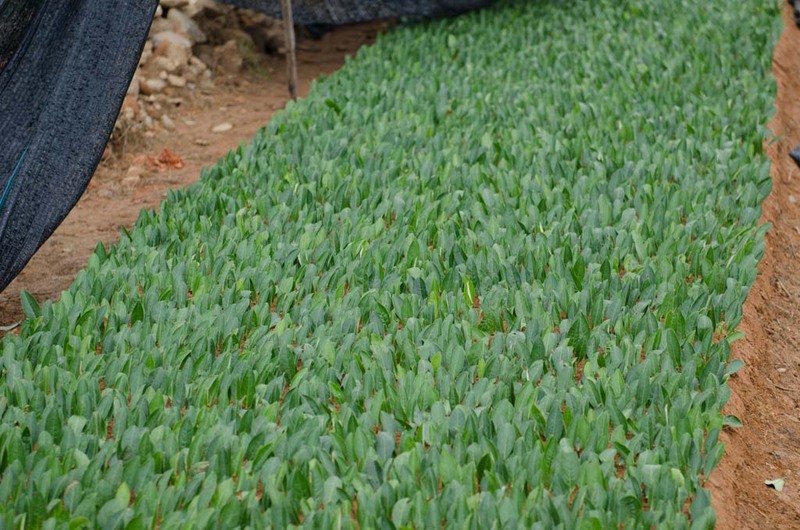 The fresh cuttings must be shielded from the sun to give them the best conditions for rooting and survival. In good weather up to 90% of the cuttings will survive, if the weather is less favorable it is common for about 75% to take root. 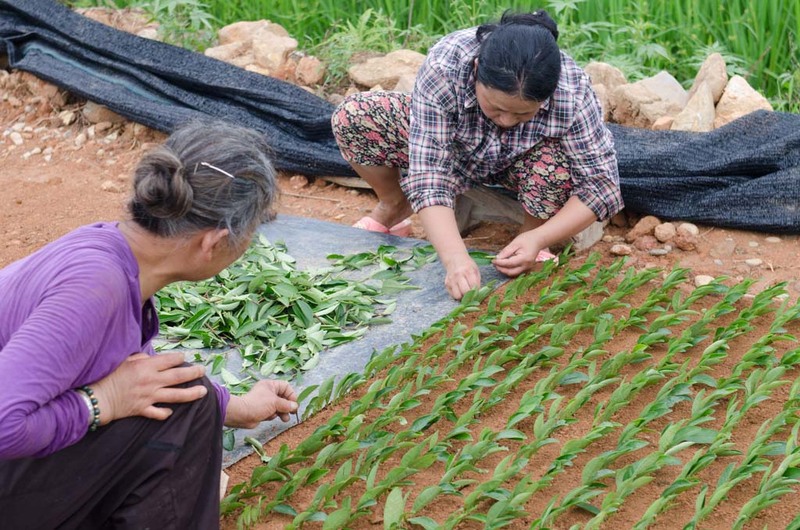 Each cutting is carefully placed into the soil one row at a time. Once the slow and meticulous work is complete only patience and water is required to start their journey into larger trees. 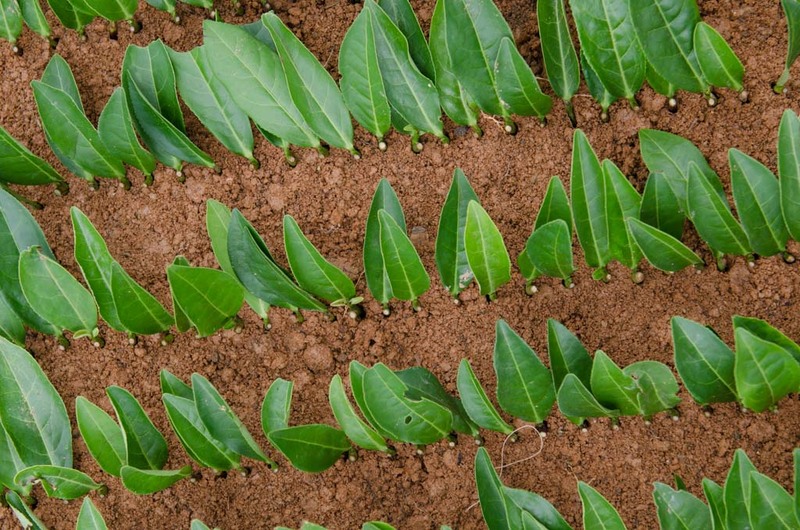 These tea trees just need time and care. The edge of the tarp is used to keep the rows straight.